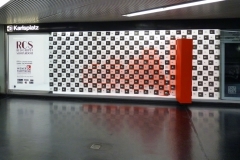 A duo of artists appeal with an eye catching art installation in the centre of Vienna. 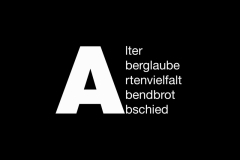 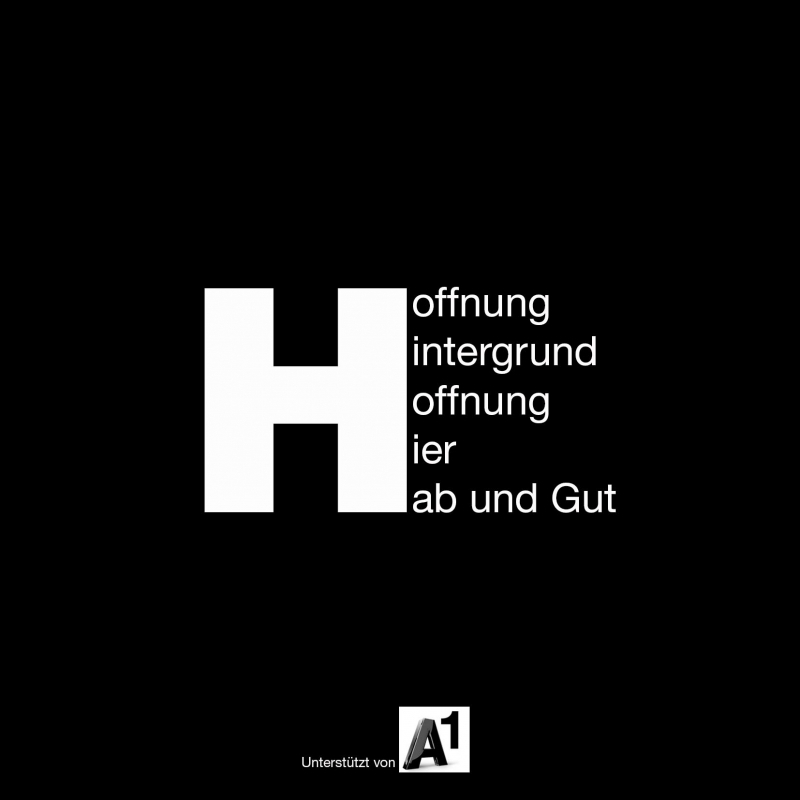 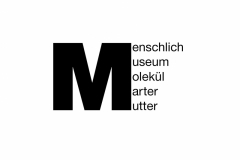 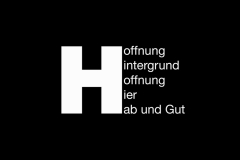 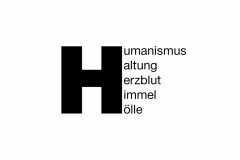 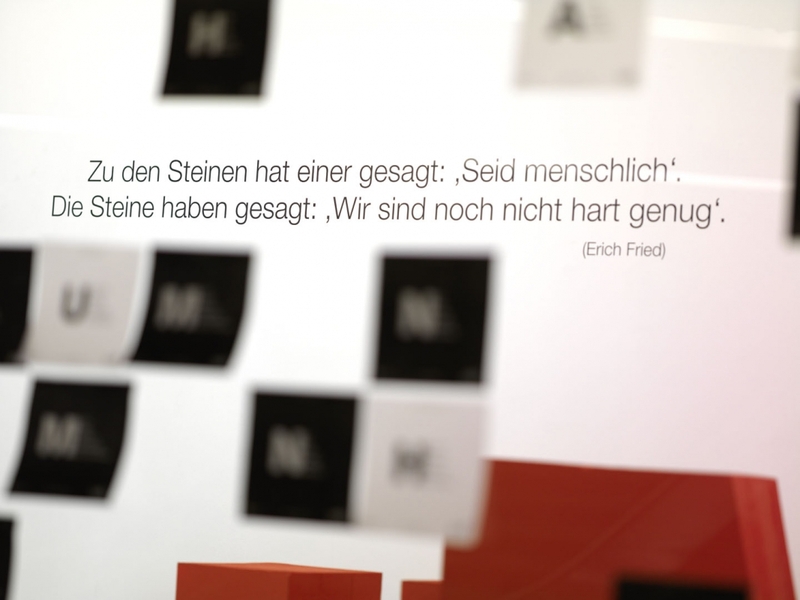 (Vienna/ 17th September 2013) – The word “HUMAN” is the central theme of all the works Birgit and Peter Kainz encounter and is explained and developed visually in many different projects in the past years. 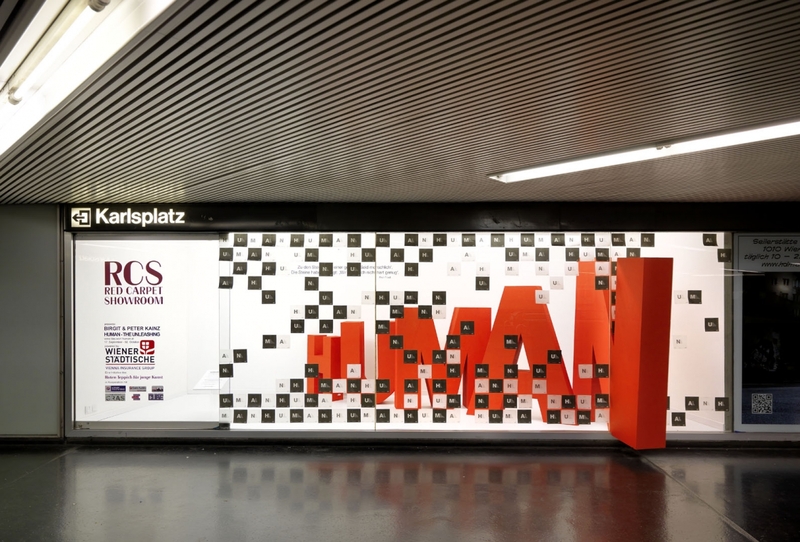 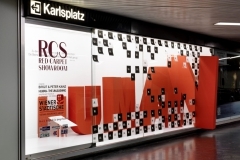 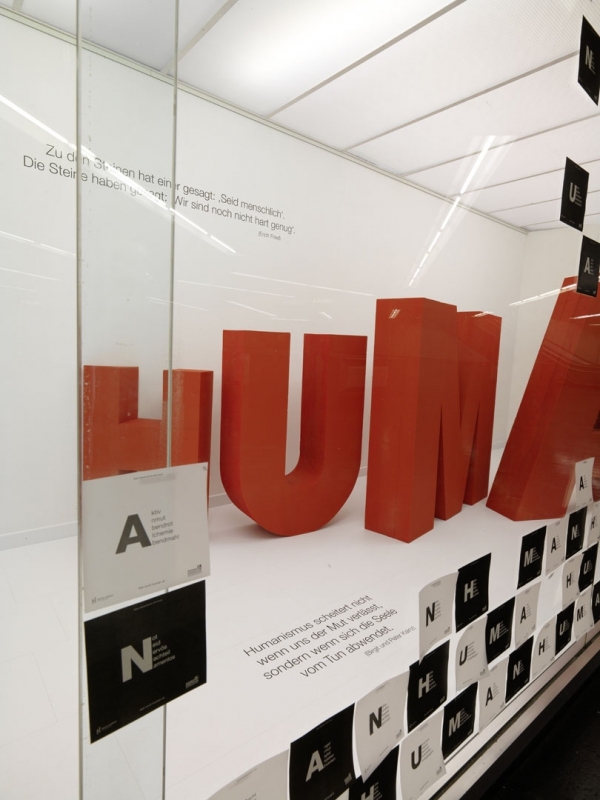 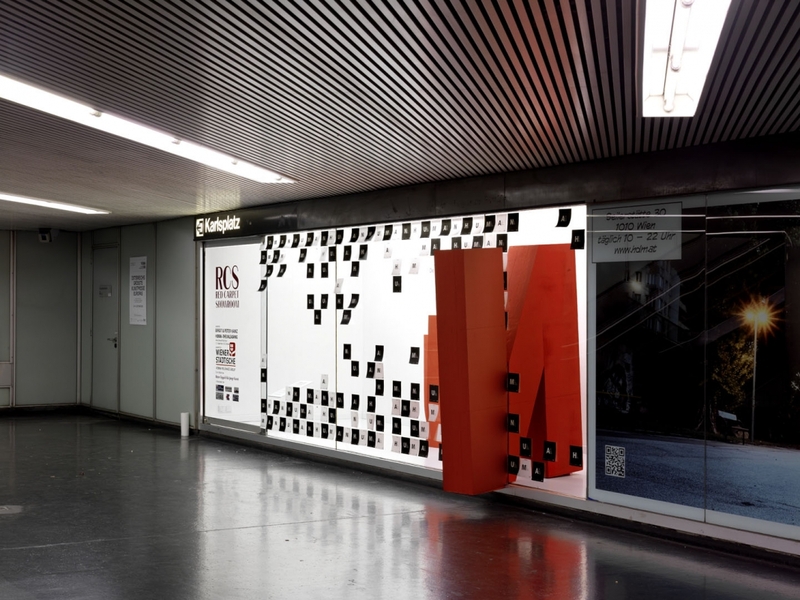 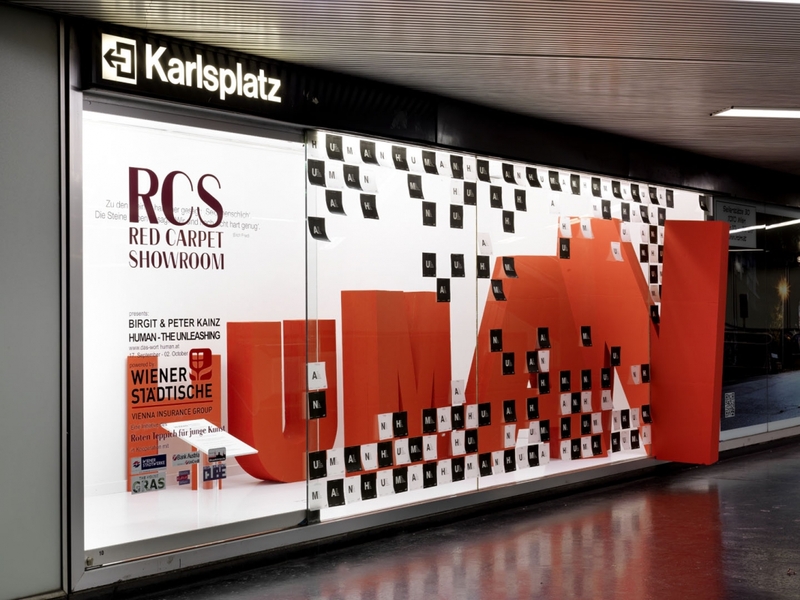 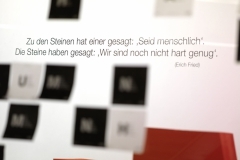 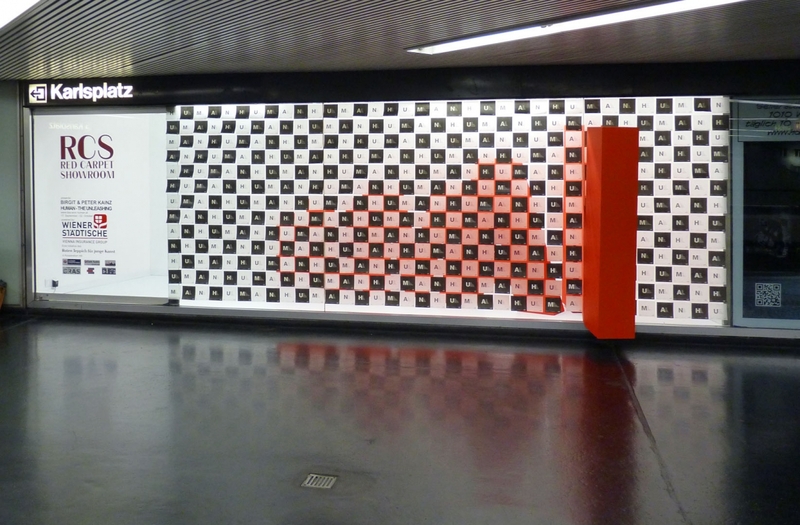 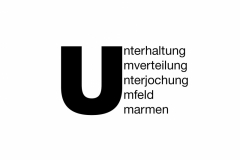 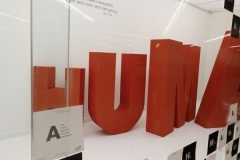 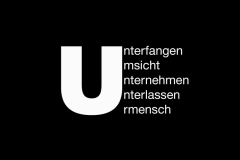 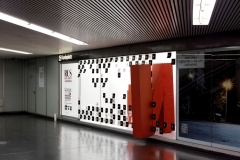 Today a HUMAN sculpture was revealed in the Red Carpet Showroom at the subway station Karlsplatz to offer the Viennese locals and interactive installation with the theme “HUMAN-unleashing”. 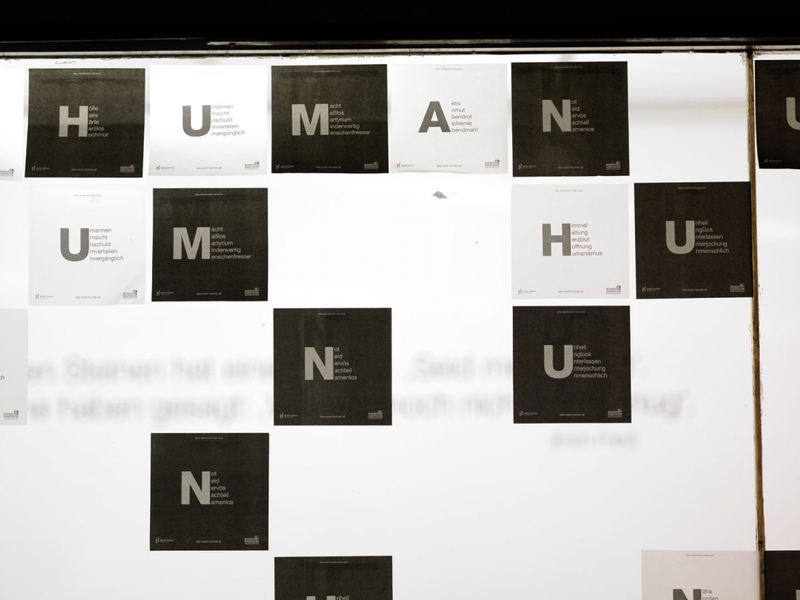 People passing by can pick up a piece of “HUMANity” on their way. 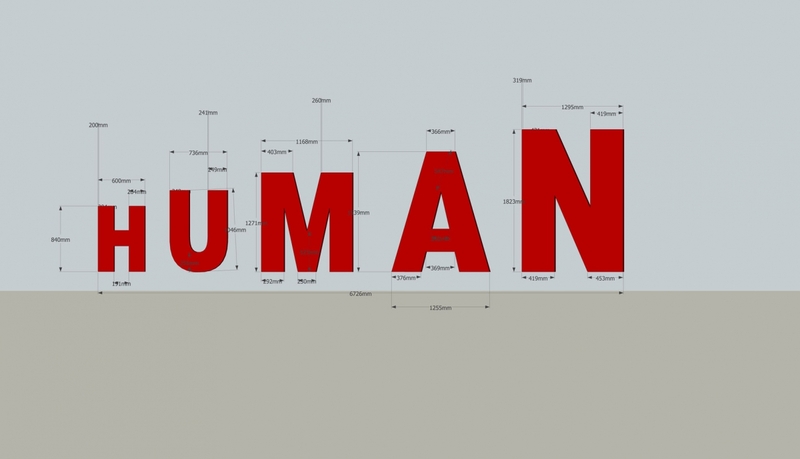 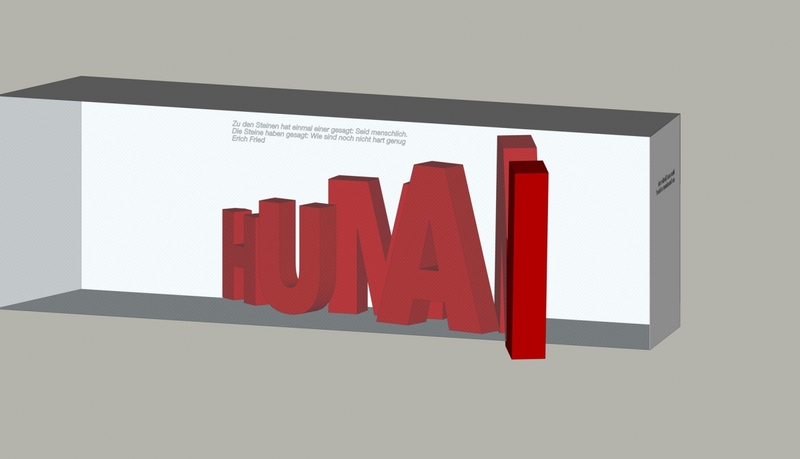 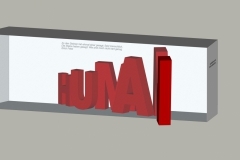 In the centre of the installation the three dimensional and expanding red letters of the word HUMAN are unleashing into the public space. 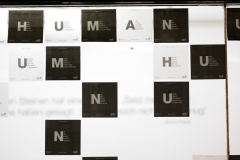 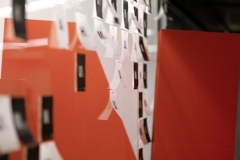 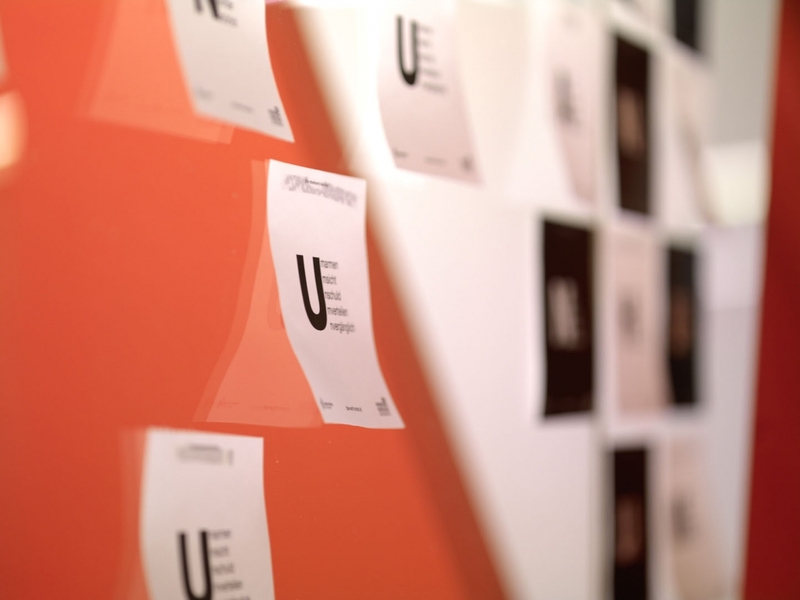 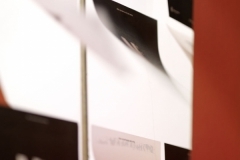 People can pick um HUMANity by taking one of the black and white post-its, which are covering all of the exhibition space and symbolizing the differences life has to offer. 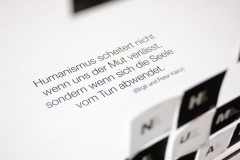 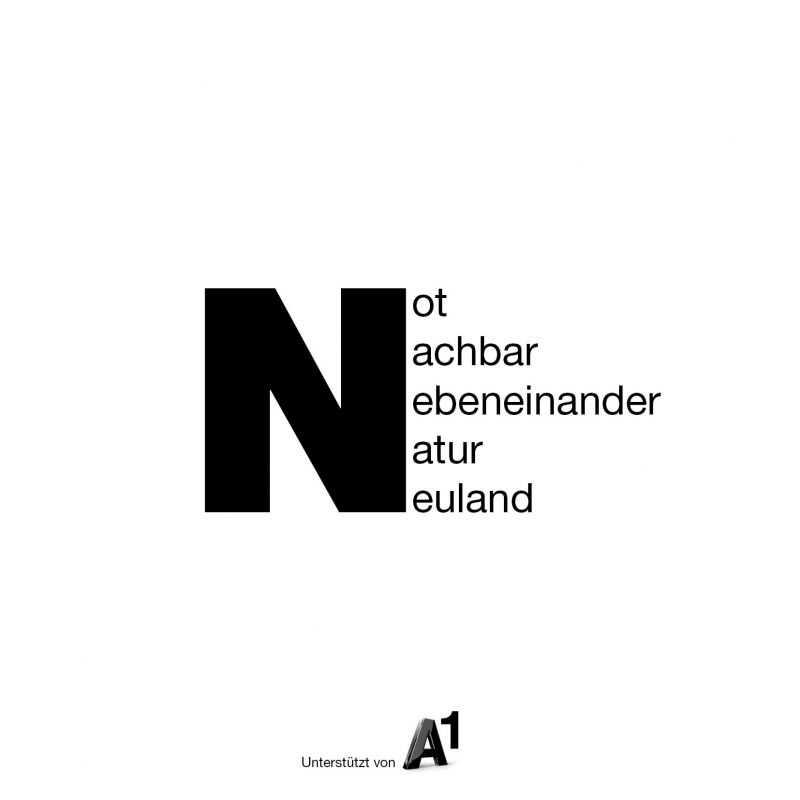 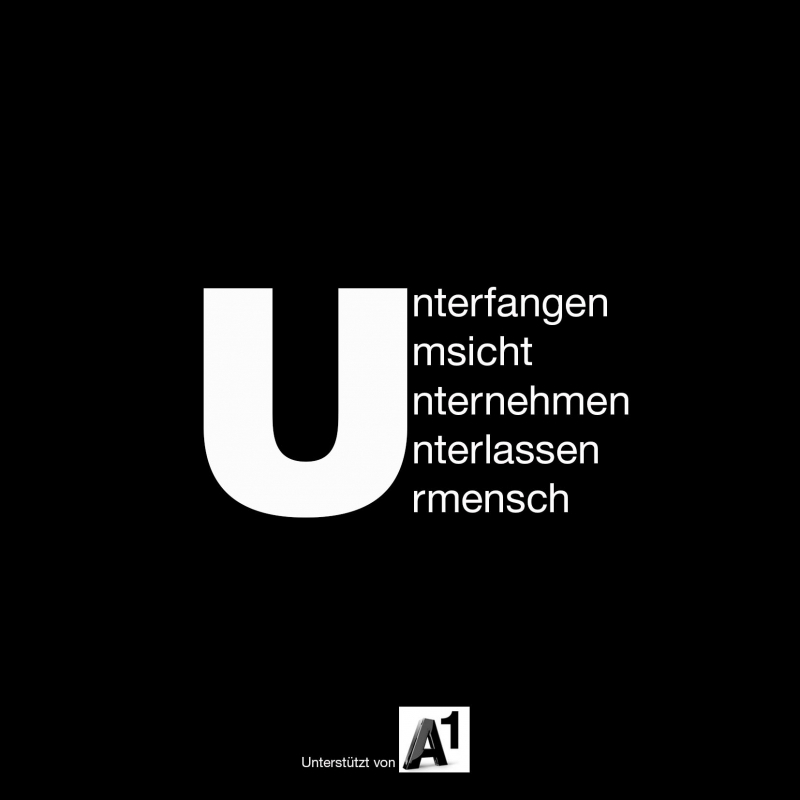 Birgit and Peter Kainz want to make the term visually attractive without using any force and want to connect people as well as provoke their thoughts and make humanity appealing. 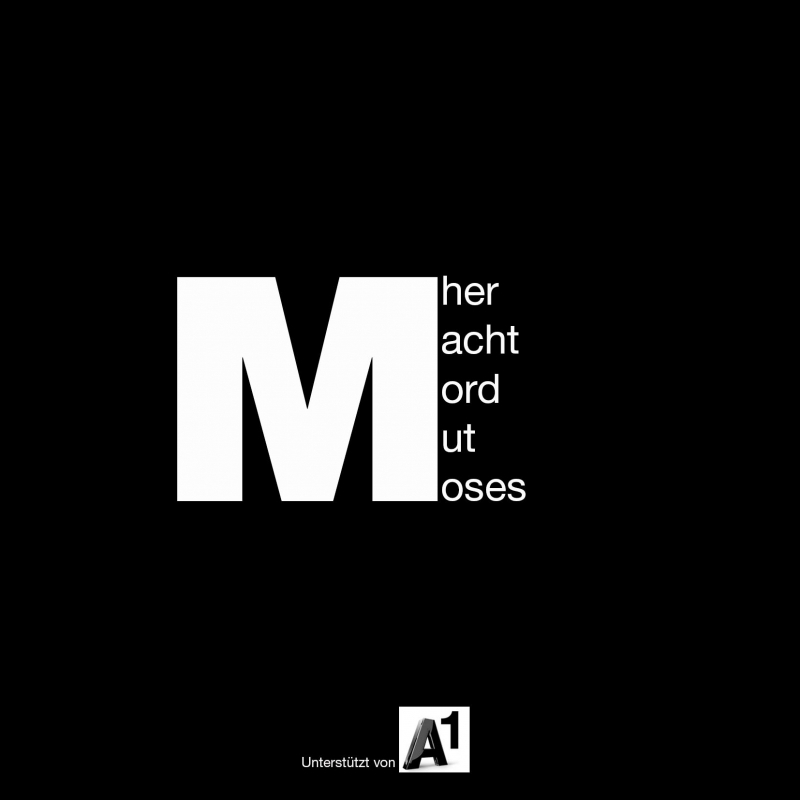 „The piece of art is supposed to make curious. 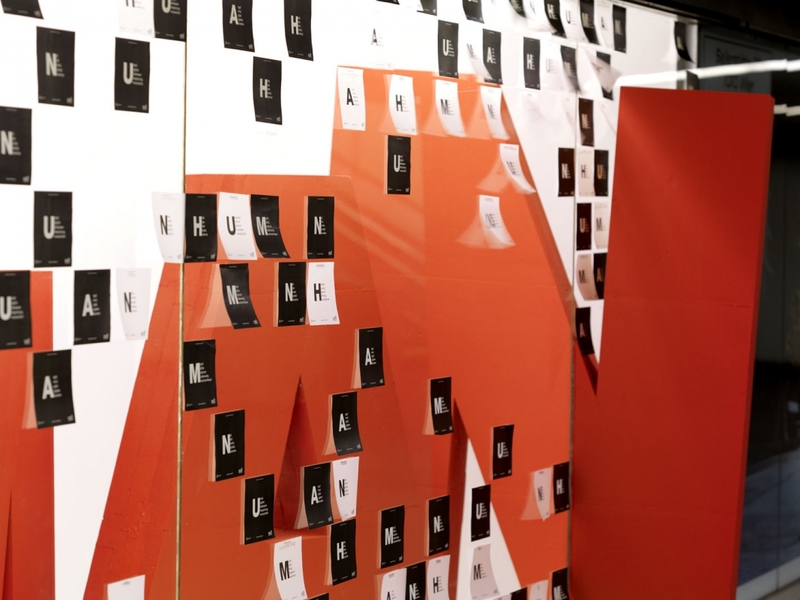 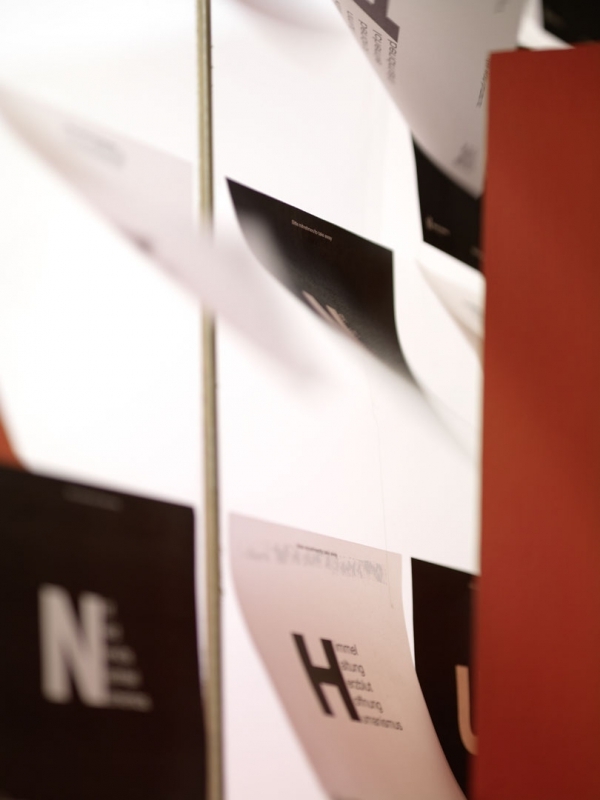 The big letter N is conspicuous, is unleashing itself and is standing outside the showroom, the post its which are bending themselves slightly of the surface are inviting to pick up. 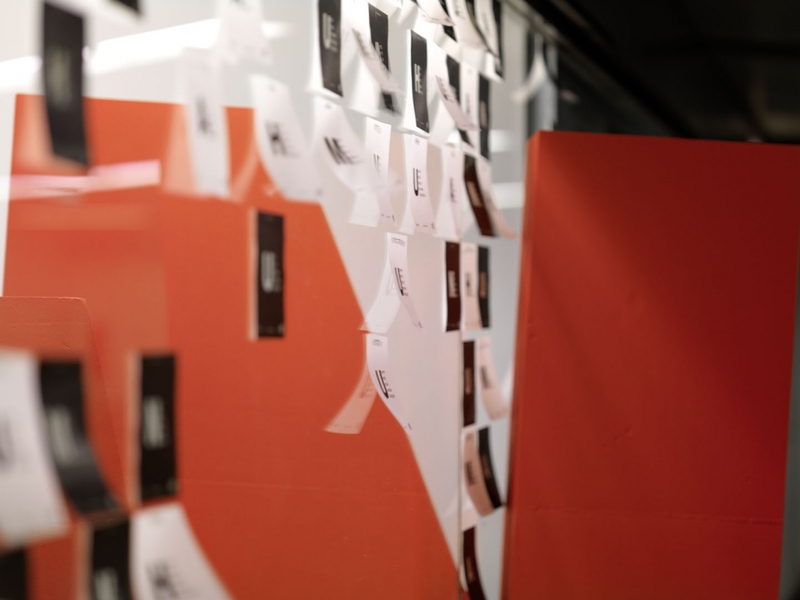 We want to get society to actively pick up a post-it and through revealing the behind, change the exhibition. 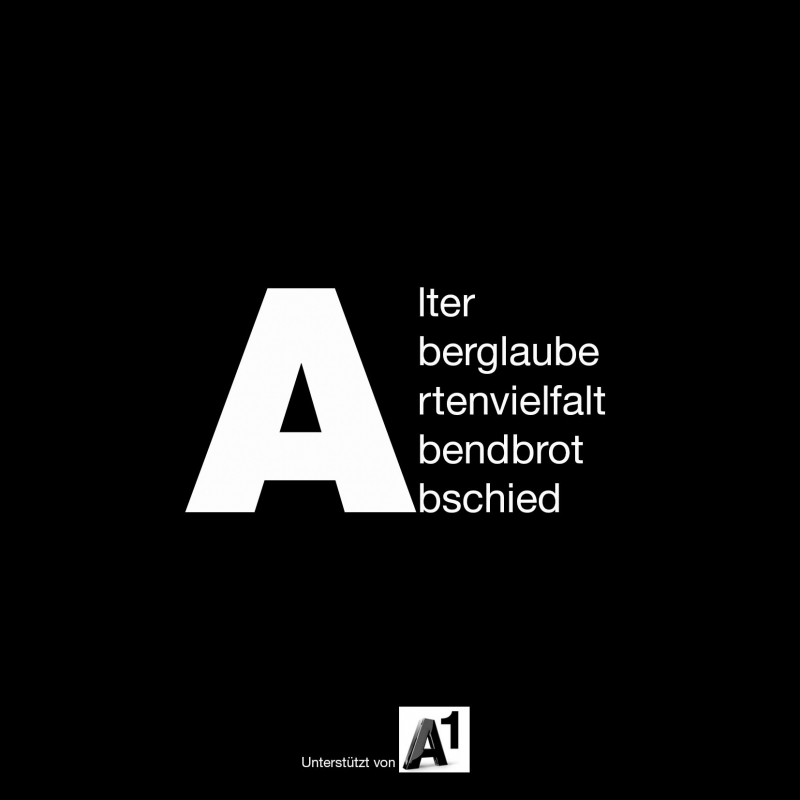 “, says Birgit Kainz. 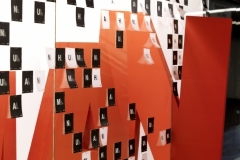 The mosaik pattern and the black and white post its show the opposites between people and the everyday life and being torn between good and evil, rich and poor, love and hate, day and night, yin and yang and so on. 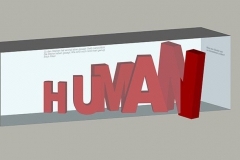 “Humanity starts in the brain and continues its actions. 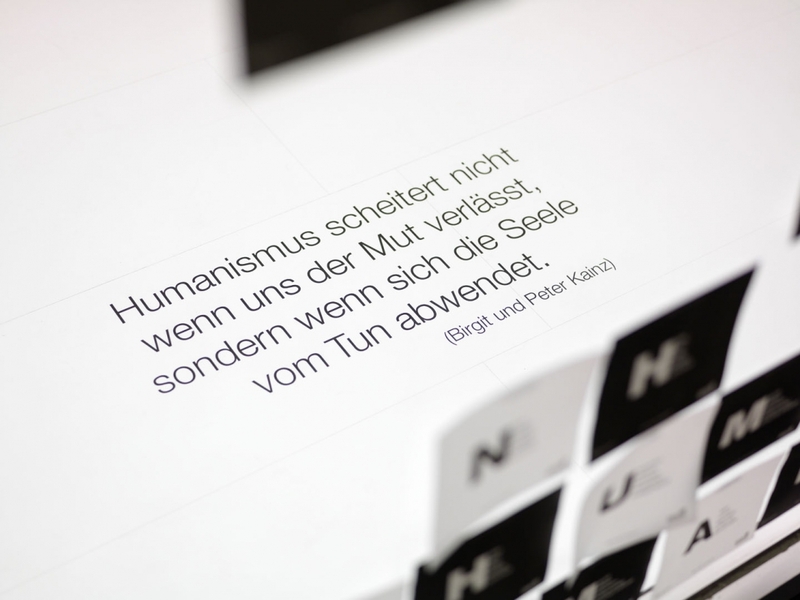 If we manage to provoke one or another thought we would be happy.”, so das Kainz-Duo. 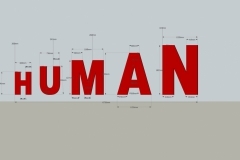 HUMANE stands for humanity, tolerance and together. 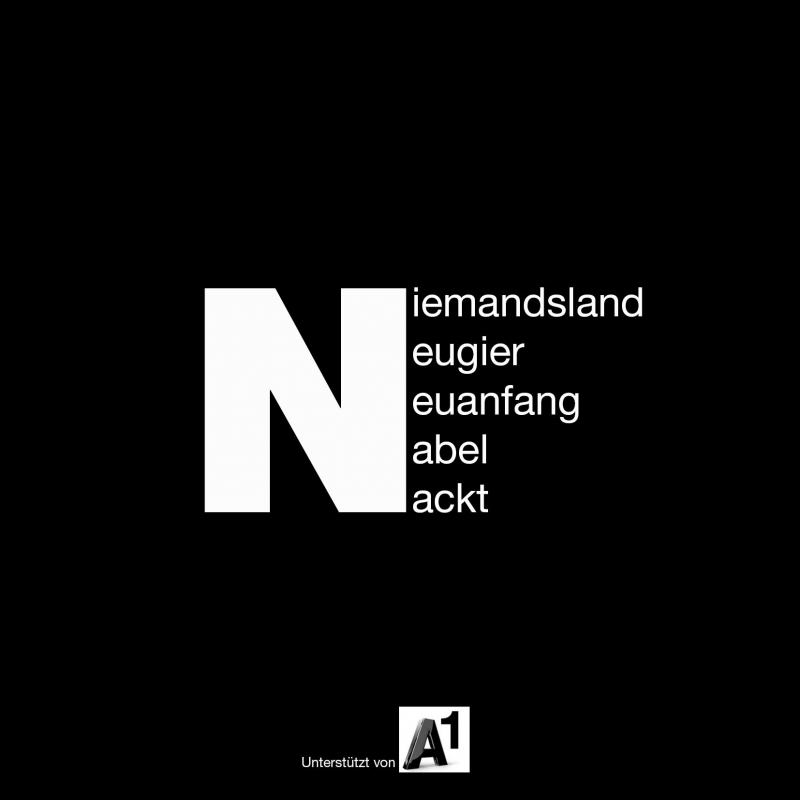 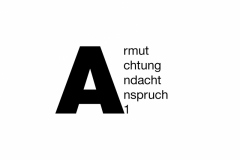 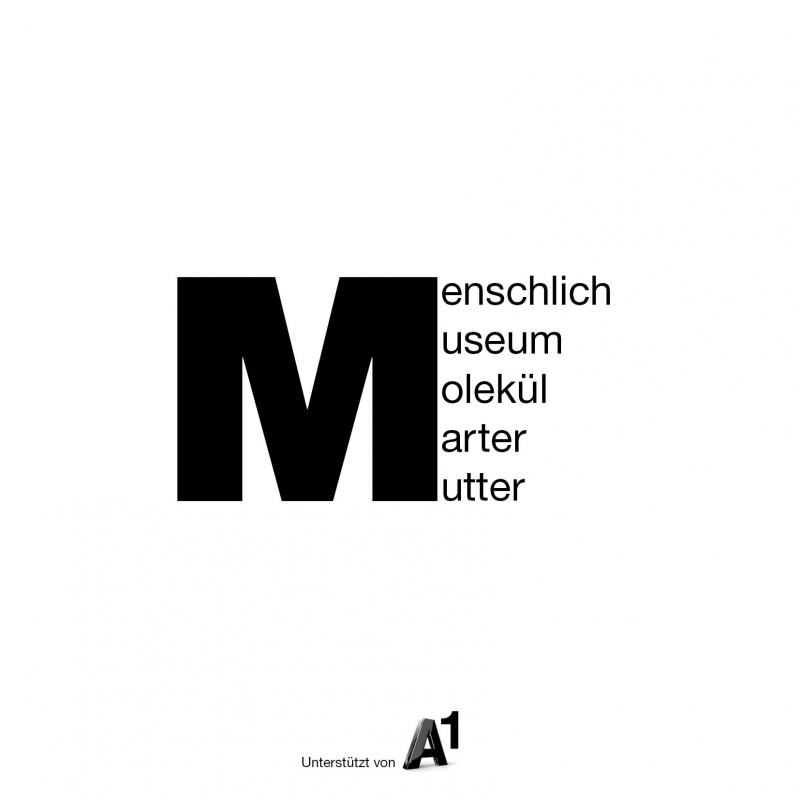 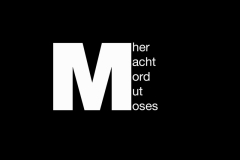 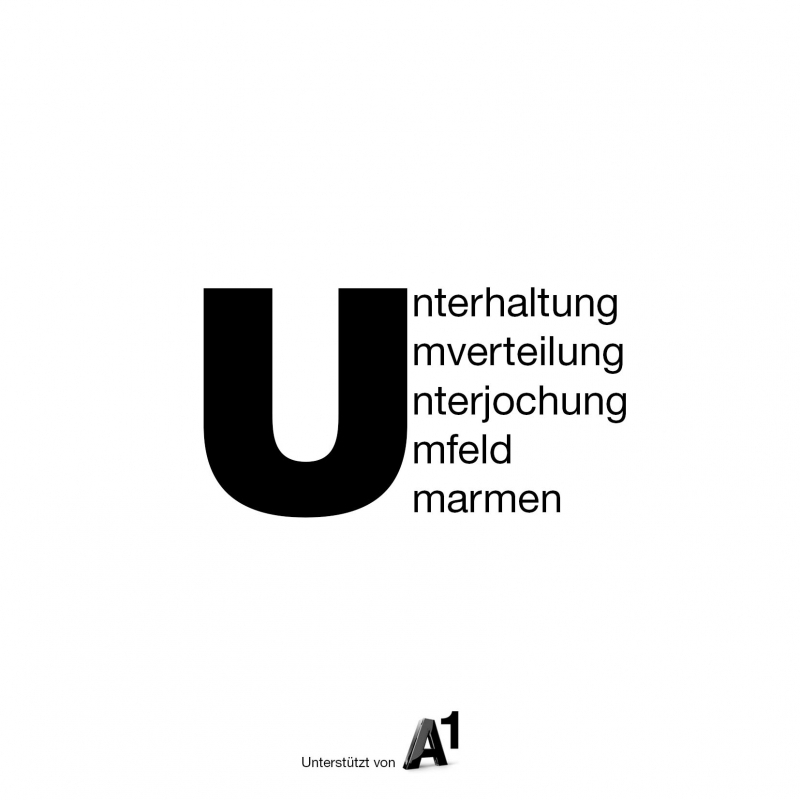 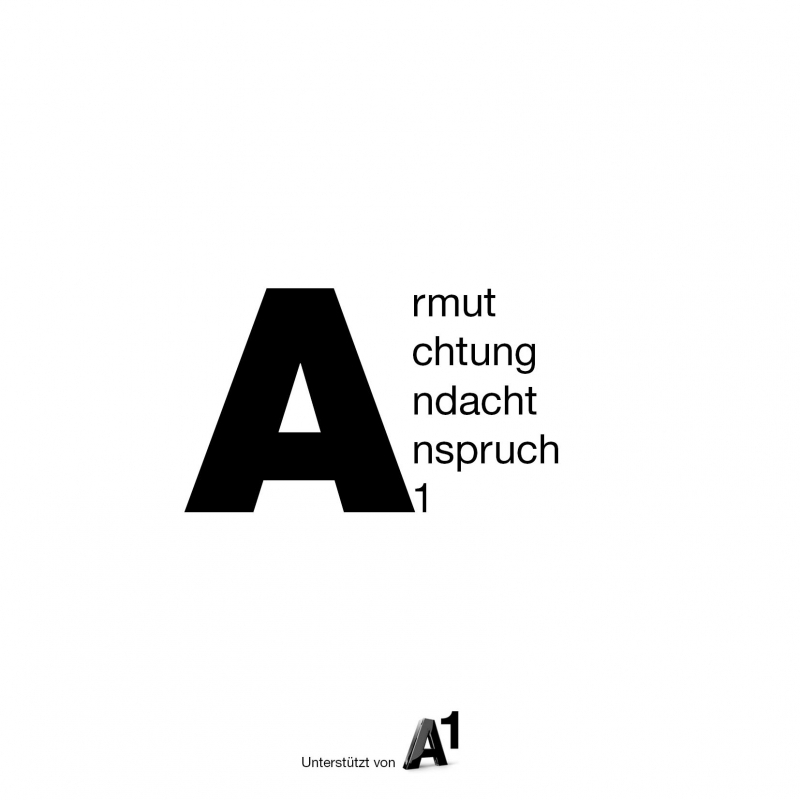 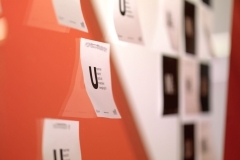 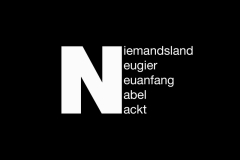 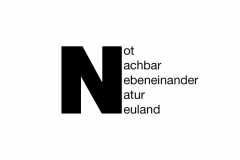 The artists use this word in a playful way since 2009. 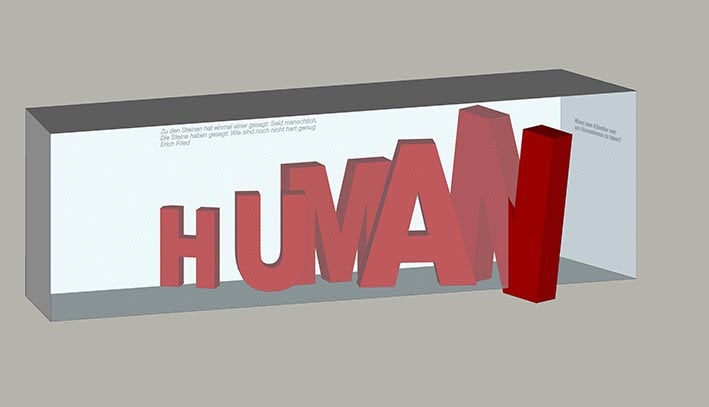 2009 the wrote the word HUMAN into two fields lying next to each other. 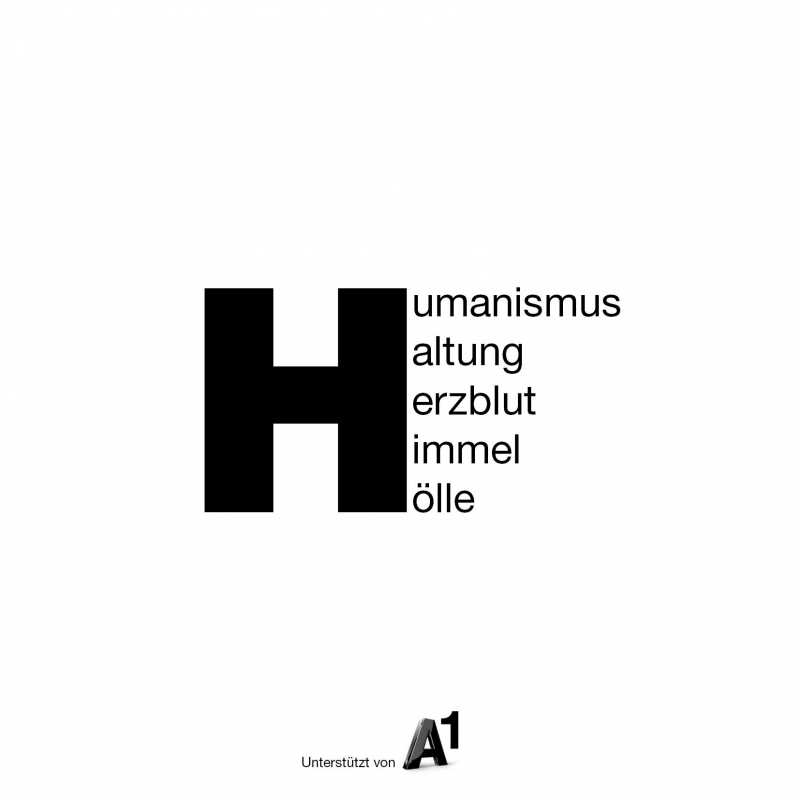 2010 they painted five towers in lower austria with 40m high letters forming HUMAN.